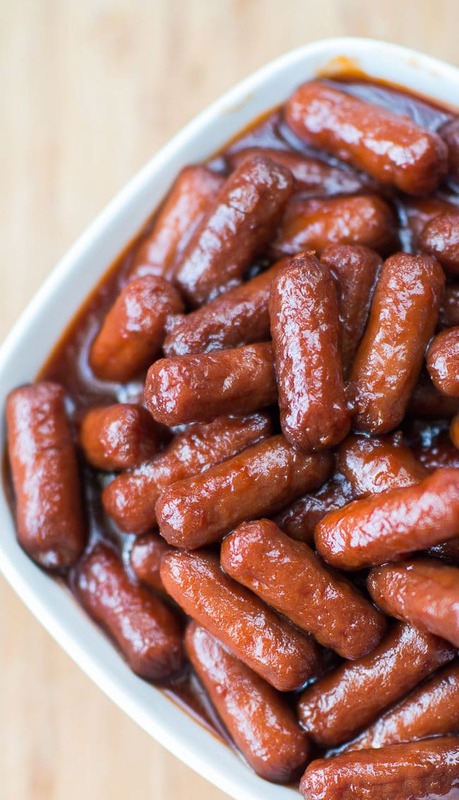 Crock Pot Little Smokies Recipe - Just 3 Ingredients! 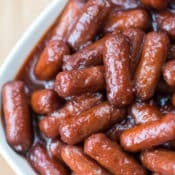 These delicious crock pot little smokies are so simple to make in your slow cooker, and you only need three ingredients. 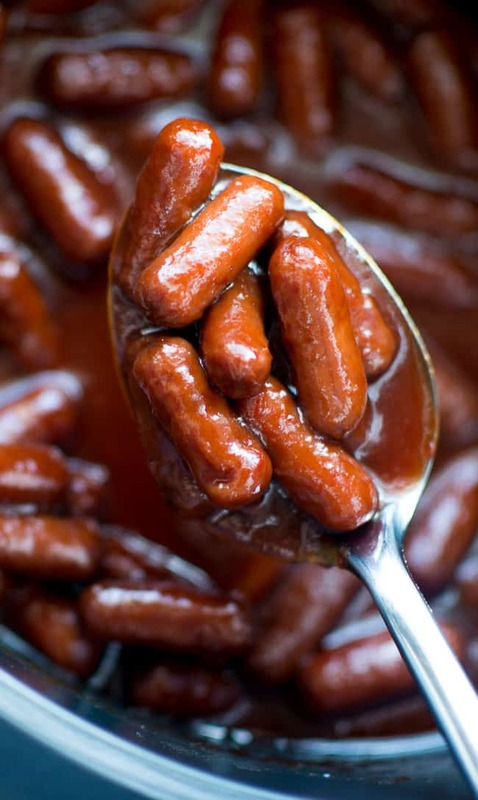 These are truly the perfect slow cooker lil’ smokies! My crock pot little smokies, along with my crock pot meatballs and bacon wrapped water chestnuts comprise my Christmas appetizer trifecta. There’s just something special about a saucy little appetizer on a toothpick that makes me happy. Needless to say, I eat way too many of these little suckers every Christmas! I’m also loving this particular holiday appetizer recipe because it’s just so easy. 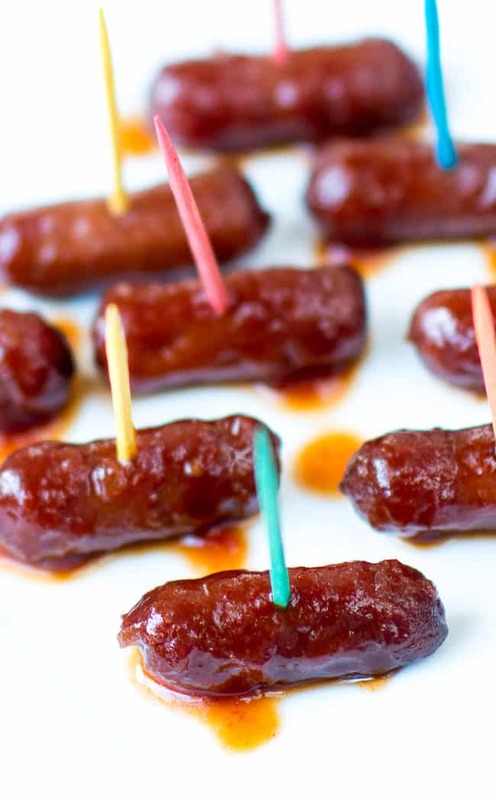 This is truly a no-brainer recipe, and as long as you can dump some grape jelly and chili sauce over a couple packs of wieners you’re golden. 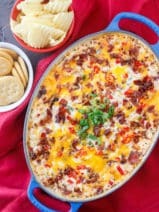 This recipe is perfect for your next holiday gathering, and it also makes a great game-day appetizer. 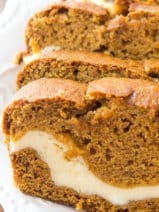 If you have your own spin on this classic recipe, I’d love to hear about it in the comments. 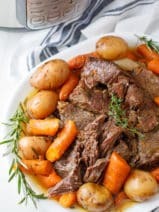 While I love this recipe just the way it is, it’s always fun for me to learn your cooking secrets. 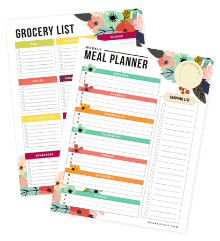 Don’t be stingy now! 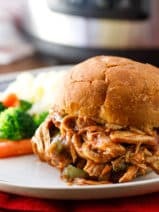 A simple and delicious appetizer that you can whip up in your slow cooker! Add grape jelly and the chili sauce to crockpot, stir until blended well. Stir in the little smokies until all are coated. Cover and cook on high for 2 1/2 to 3 hours on high or 4 to 6 hours on low, stirring halfway during the cook time. How big of a pkg. for the smokies? Sounds great! I want to make it this weekend. What chili do you use??? Instead of chili sauce…. mustard and grape jelly. Sounds weird, tastes great! Few years back all I could find was smokies made with Apricot preserves and bar b-q sauce. Now all recipes are with the grape jelly. I think the recipes with the cranberry sauce sounds good. The grape jelly doesnt sound as good. Will make with the Apricot preserves in few days for a snack table at birthday party. I really like making these and am always amazed about the grape jelly.There is something about adding it that totally makes these a hit. We have people over for cards, and hey always get eaten quickly! 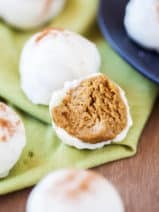 Haven’t made these yet but just wondering how spicy they are? Have had them at parties but don’t remember them being spicy. Just see the chili sauce and made me wonder. I like “mild” spice. Would this be too hot? I know everyone males these with grape jelly. But it has a certain “whang” I don’t care for. I much prefer some peach preserves instead. Hey Claire, I’ll bet that tastes great. I might have to try it! I love Jesus too!! He is my complete joy. I make these every year! Instead of the grape jelly you can use a can of cranberry sauce! Gives it that little extra zing! Happy New Year! I have only ever made these with bbq sauce and grape jelly. What brand of chili sauce do you use or would you recommend? These sound really good! I would love to make them for Christmas eve!!! Thank you!